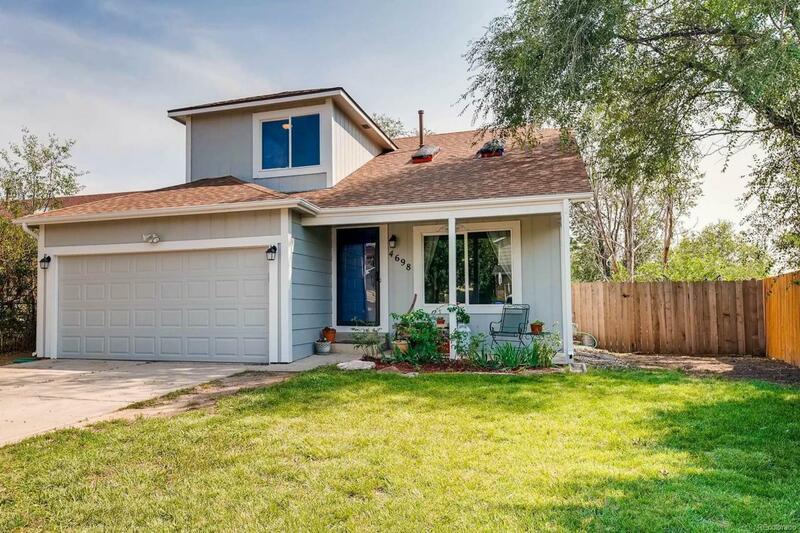 Wonderful 2 story home that is in a well established neighborhood and is close to amenities such as schools, parks, trails, shopping and military bases Ft. Carson & Peterson AFB. Home welcomes you with a spacious living room with staircase to the 2nd floor & airy feel when walking through the living room with vaulted ceilings. Just off the living room is the kitchen that features all stainless steel appliances, plenty of cabinet & counter space and a walk out to the back yard that backs to an open area & features mature trees that give you great shade & privacy, a great space to entertain your family & friends! Upstairs you will find the master suite & 2 additional bedrooms & full bath with tile flooring! Additionally this lovely home features a NEW water heater, NEW paint inside & outside, NEW roof, NEW sliding glass door, NEW carpet & wood flooring! Five NEW windows on order to be installed, 2 in the Kitchen, 1 in a bedroom and 2 in the bathroom. Truly a home that you must see!